Beginning to rough out the front. 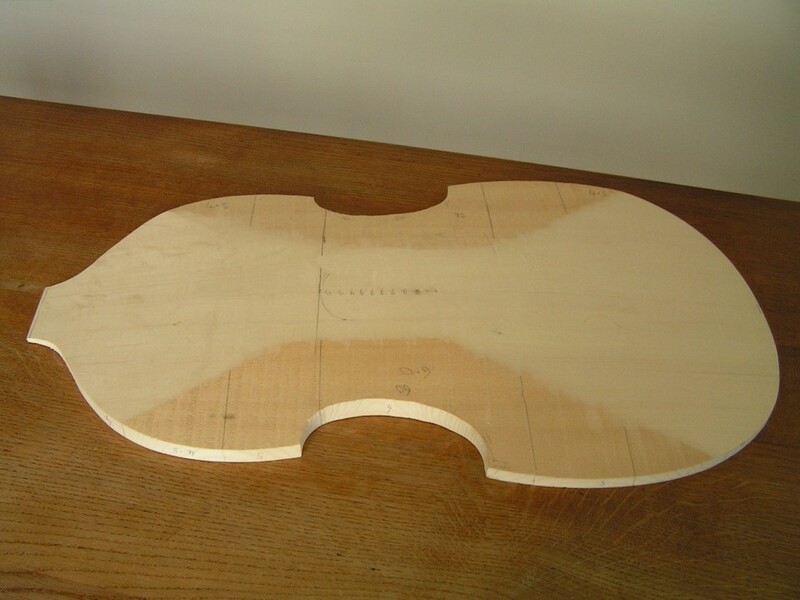 Bertrand used the “carved method” for his soundboards. It is made from two wedges cut radially from the log (like slices of a cake) and jointed “bark to bark” to make the blank from which the soundboard is carved.